Real estate, brand storytelling, training… 360° contents can be used in many different ways. Our team of immersive technology experts help you define your immersive project. We also take care of both 360° photo or video shooting and post-production. We will also provide the best platform to distribute your immersive content. Watch the highlights of Etam Live Show 2016 in VR. The event was filmed with 3 Nokia Ozo cameras and the experience is accessible in WebVR, directly from your web browser. 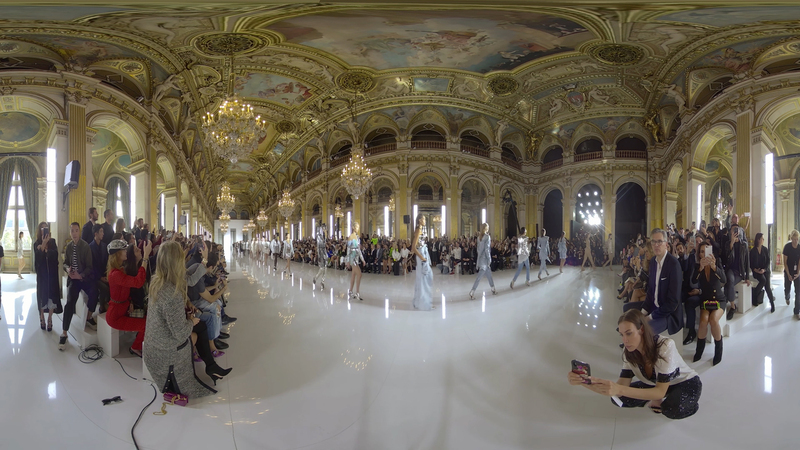 360° video live streaming of Balmain SS19 fashion show during Paris Fashion Week 2018. The show was produced with 3 Kandao Obsidian S cameras and broadcasted live on the brand’s Facebook page and the Facebook 360° app. Boulanger needed an efficient internal communication medium to promote its new concept store Le Comptoir located in Wasquehal (Lille area). We created a 100% web virtual tour of the store. Easy to access and share! 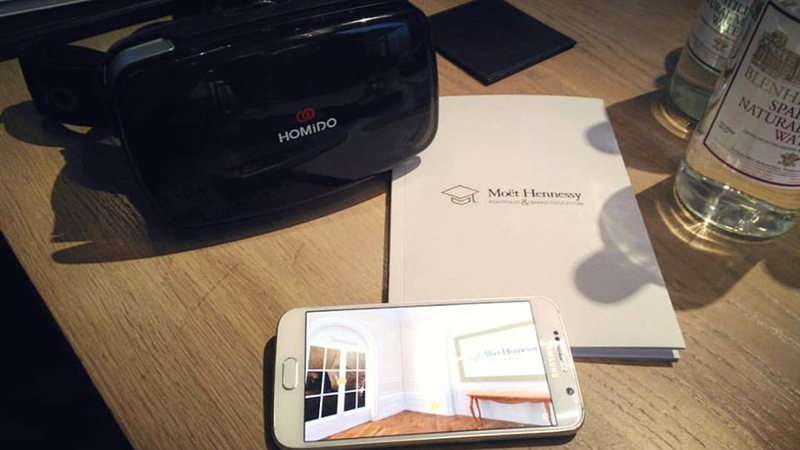 We created a virtual reality academy of portfolio & brand storytelling of Moët Hennessy’s champagne, spirits and wine maisons. This internal e-learning platform is accessible in WebVR and enables corporates to visit the maisons in VR. 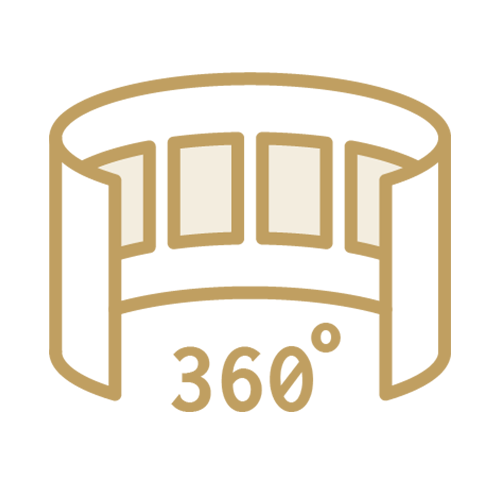 The 360° videos of the maisons contain interactive hotspots to display extra educational content. 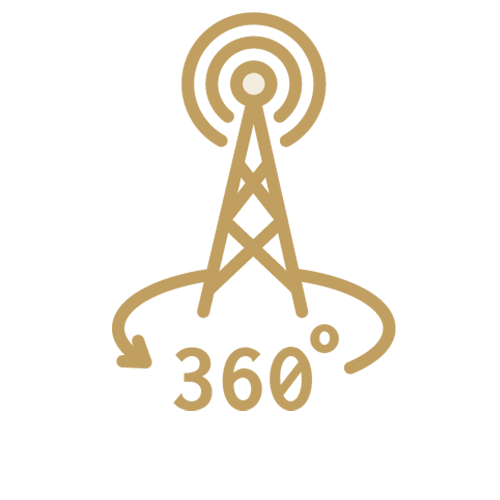 Art direction, shooting, post-production, we support you in the whole process. We provide the technical staff that will make your live VR event come true. We stream on Facebook, YouTube or any other dedicated platform. 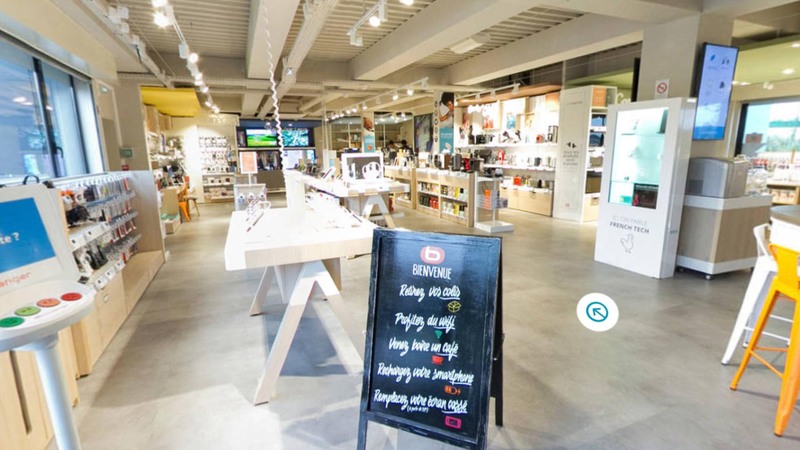 Perfect medium to get an immersive preview of an accommodation, a store, a factory plant… 360° photos and videos are linked one another through directional arrows and enhanced with dynamic hotspots. We create a dedicated platform to distribute your immersive content – a kind of immersive Netflix for 360 VR. 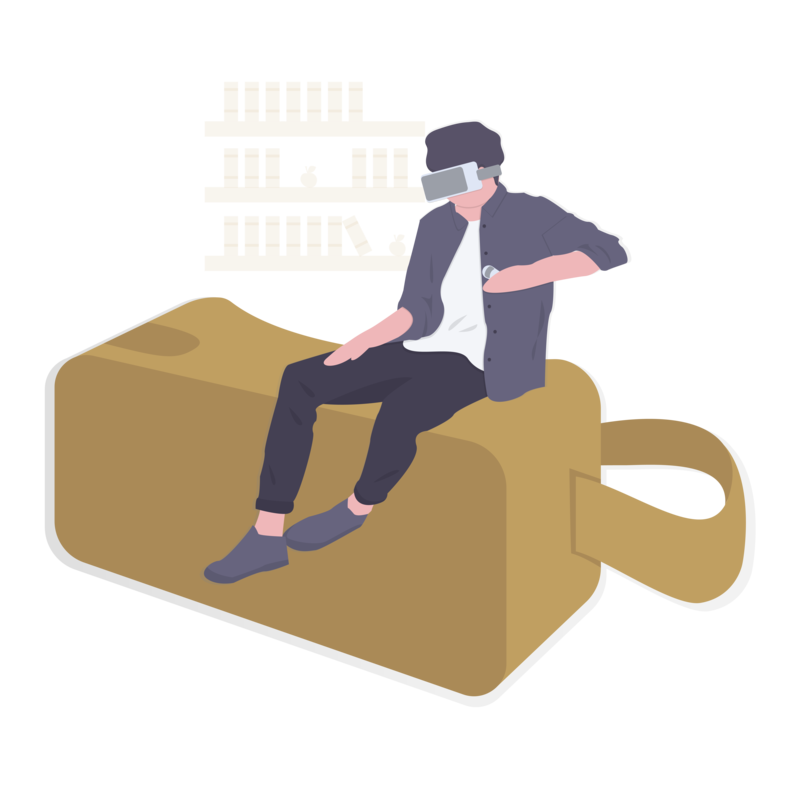 Our hubs are accessible in WebVR or through a dedicated application. Storyboarding and UI/UX design, we will always come up with fresh and creative ideas for your 360° project. Our staff is equipped with the best professional 360° cameras on the market and their must-have accessories from drones to dolly robots. Once the shooting is done, we proceed to stitching, calibration and final edits of your 360° photos and videos. We can also add VFXs and motion design to enhance your immersive footage. Once produced, we distribute your immersive contents through the most relevant 360 VR platform. 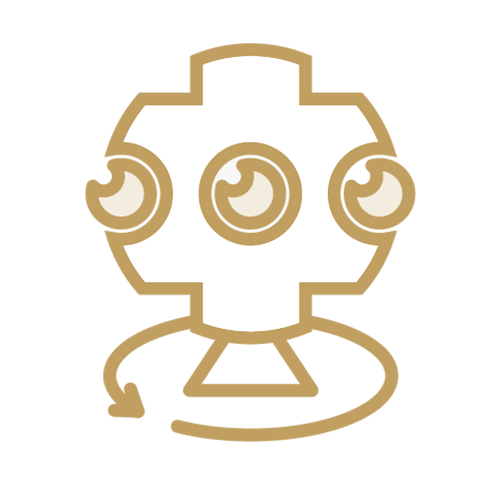 Our engineers can provide both standardized and tailored solutions.